Venezuela's self-proclaimed interim president, Juan Guaido, says agents from a feared special police unit had called at his home, a sign of increasing pressure on the opposition leader trying to replace socialist President Nicolas Maduro. Venezuela's self-proclaimed interim president, Juan Guaido, said Thursday that agents from a feared special police unit had called at his home, a sign of increasing pressure on the opposition leader trying to replace socialist President Nicolas Maduro. Guaido said police agents asked for his wife, who was at home with their 20-month-old daughter while he was out at an event. "I will hold you responsible for any threat to my baby," Guaido said at the end of a public event in Caracas. The head of Venezuela's national police later denied agents visited Guaido's home, calling the allegations "totally false." The United States, which backs Guaido, has warned of "serious consequences" if Maduro's government harms him. The political fight between Maduro, sworn in for a disputed second term this month, and Guaido has drawn in foreign powers on both sides. 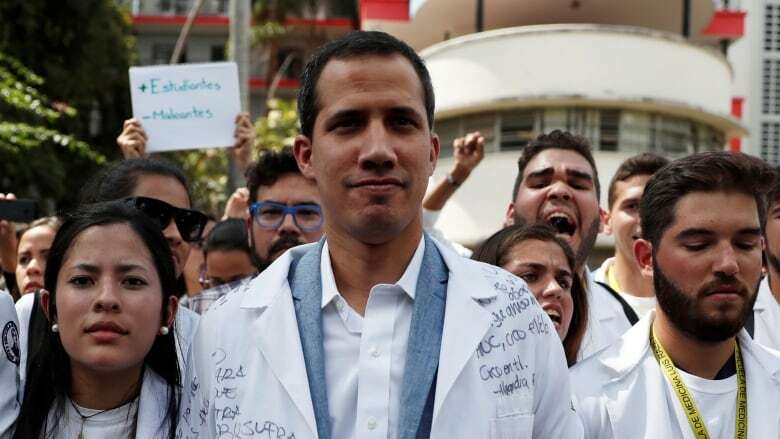 Earlier Thursday, the European Parliament recognized Guaido as de facto head of state, heightening international pressure on Maduro. EU lawmakers voted 429 in favour to 104 against, with 88 abstentions, at a special session in Brussels to recognize Venezuelan congress head Guaido as interim leader. In a statement with the non-binding vote, the parliament urged the bloc's 28 governments to follow suit and consider Guaido "the only legitimate interim president" until there were "new free, transparent and credible presidential elections." Though frequently accusing Maduro of stifling democracy, the European Union is nervous at the precedent of a self-declaration, so has been reluctant to follow the United States and most Latin American nations with immediate recognition of Guaido. Britain, France, Germany and Spain said on Saturday, however, that they would recognize Guaido unless Maduro called elections within eight days. The EU as a whole has not set a time limit in its call for a new presidential vote. Maduro has dismissed the demands as an unacceptable ultimatum from the corrupt elite of spent colonial powers. "The leaders of Europe are sycophants, kneeling behind the policies of Donald Trump," he said in recent days. In its recognition of Guaido as interim leader, the EU follows the United States, Canada and most countries in the Americas. EU foreign policy chief Federica Mogherini said governments including Britain, France, Germany, Spain and Italy would take part in a so-called international contact group, along with Bolivia, Ecuador and other countries. Though not strictly a mediation role, the countries would co-ordinate policies to try to bring the Venezuelan opposition and Maduro closer, avoid repression and agree to new elections. "It is not about mediating. It is not about creating forms of dialogue. We have seen processes before that have been indeed used just to buy time," Mogherini said, adding the group would be terminated after 90 days if it did not make progress. "The purpose of the exercise is to accompany the country in a peaceful and democratic manner towards peaceful, and democratic and free elections," she said during a break in the meeting of EU foreign ministers. Asked about the chances of the group succeeding in resolving the crisis, the EU's foreign policy chief said: "We are taking a big risk, in the sense that the signs are not particularly encouraging." "Targeted sanctions against the kleptocrats who have enriched themselves on the back of the rest of the population who are very poor, that is something I think can be effective," Hunt said in a Foreign and Commonwealth Office statement. Guaido laid out the case for a North American audience in a New York Times op-ed published late Wednesday as to why he should be recognized in the Venezuelan constitution as interim president "until free and transparent elections take place." Maduro is propped up through support from the military. 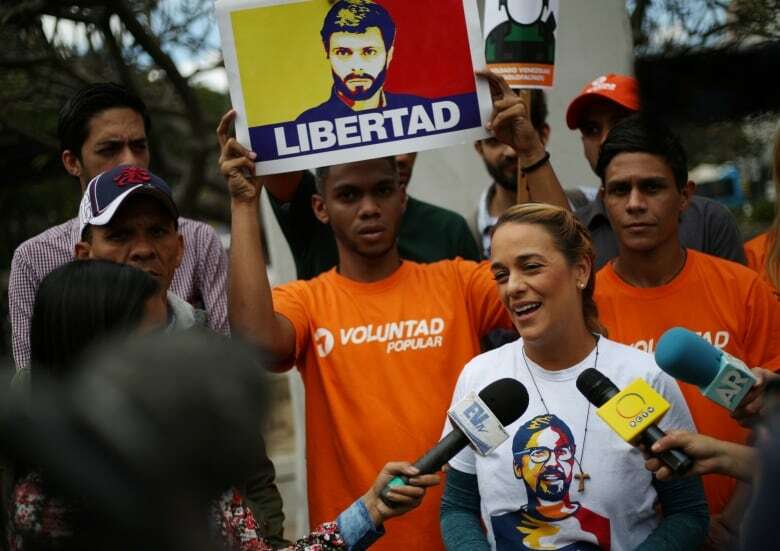 Guaido said in the op-ed that representatives from the opposition have met with military and security force officials, and are willing to offer amnesty to those not guilty of crimes against humanity. "The military's withdrawal of support from Mr. Maduro is crucial to enabling a change in government," wrote Guaido. China, Russia and Turkey have also supported the Maduro regime through loans and oil imports. Elvira Nabiullina, governor of Russia's central bank on Thursday dismissed as untrue reports of Venezuelan gold having been transported to Russia in a passenger plane. The unusual arrival of a Russian passenger plane in Caracas set social media abuzz on Wednesday with rumours after the Kremlin pledged to support its ally Maduro against a U.S.-backed effort to drive him from office. Who is Juan Guaido, Venezuela's self-declared president?